Glaucoma is an important irreversible blinding eye disease . For primary open-angle glaucoma (POAG), intraocular pressure (IOP) is a known pathogenic factor. Other factors are also associated with morbidity, including low body mass index (BMI), ocular perfusion pressure, migraine, cardiovascular disease, and vasospastic disorders [2–6]. 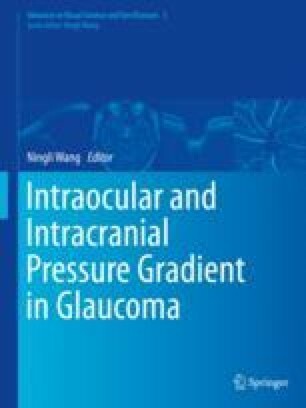 Intracranial pressure (ICP) has been receiving attention in recent years , especially in normal pressure glaucoma. At present, it is believed that the trans-lamina cribrosa pressure difference (TLCPD) of normal-tension glaucoma (NTG) is affected by the low cerebrospinal fluid pressure (CSFP) in the subarachnoid space.